Crystal frame. 5"W x 7"T; holds a 4.5" x 6.5" photo. Horizontal cuts on one side and vertical cuts on the other for an extraordinary visual effect. Imported. 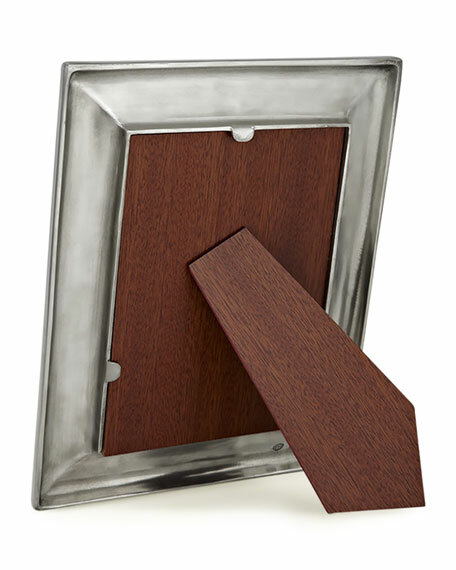 Detailed with an elegant pattern and rounded corners. 8.86"W x 11.61"T; holds 7" x 9.5" photo. Silver plate. Made in Italy. Handcrafted frame. Hand-enameled steel and glass backed with linen. Hook on back for hanging as well as easel. Holds a 4" x 6" photo; 9" x 11" overall. Variations are due to handcrafting. Imported. 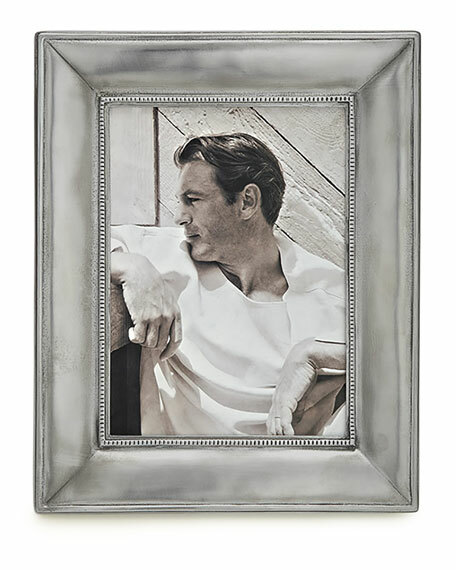 Pewter rectangular frame. MATCH Pewter is handmade by artisans in Northern Italy. Lead-free and safe for everyday use. Frame may be displayed vertically or horizontally. Overall, 5.3" X 7.3". Made in Italy.